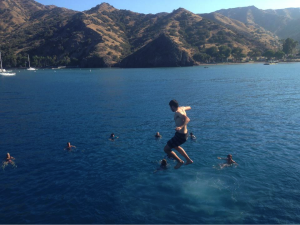 Floating Sea Camp: Taking Adventure Summer Camps To A Whole New Level! 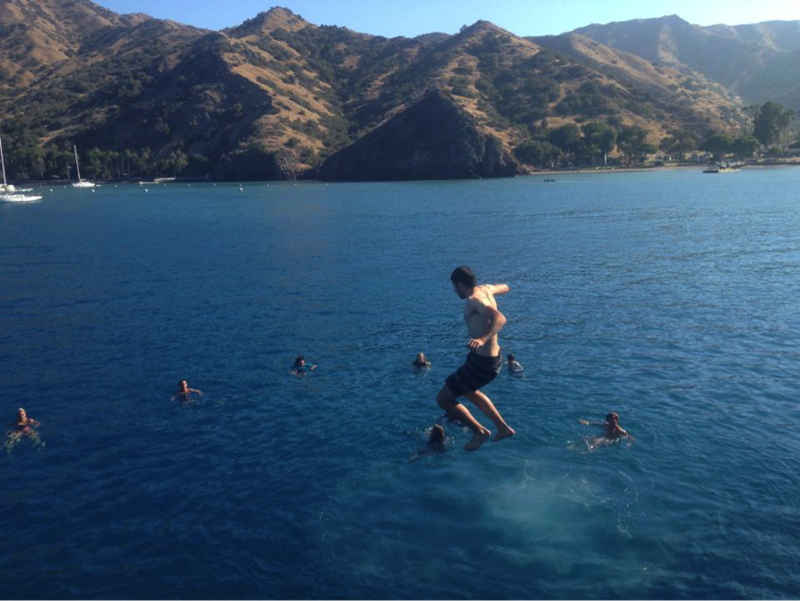 There are no other adventure summer camps in California like MSA’s Floating Sea Camp! 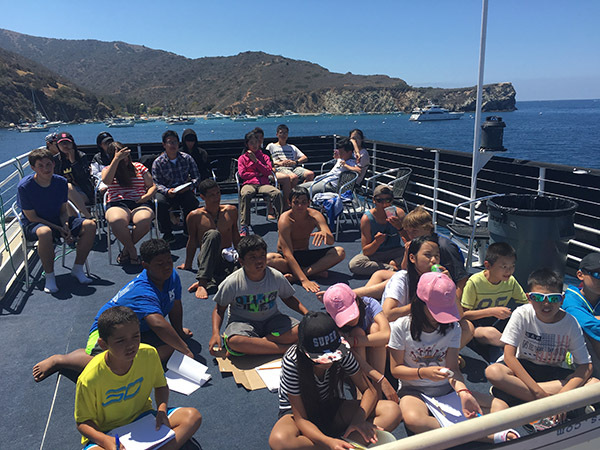 With twenty years of experience running outdoor education programs on Catalina Island, San Bernardino National Forest, as well as on board our hundred and twelve foot marine research, no body does adventure summer camps like Mountain and Sea Adventures! 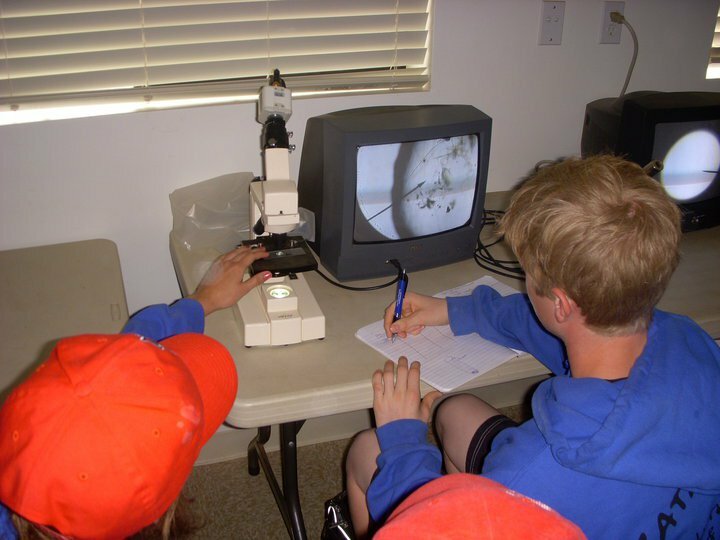 Our adventure camps summer programs combine education with fun! Campers get the opportunity to step outside of their comfort zones for a whole week and try such activities as snorkeling, kayaking, scuba diving, surfing, hiking and learning new skills. Each activity is designed to be not only educational and adventurous, but to develop particular character traits such as courage and perseverance. This is what the MSA staff is most passionate about: Building character in youth! 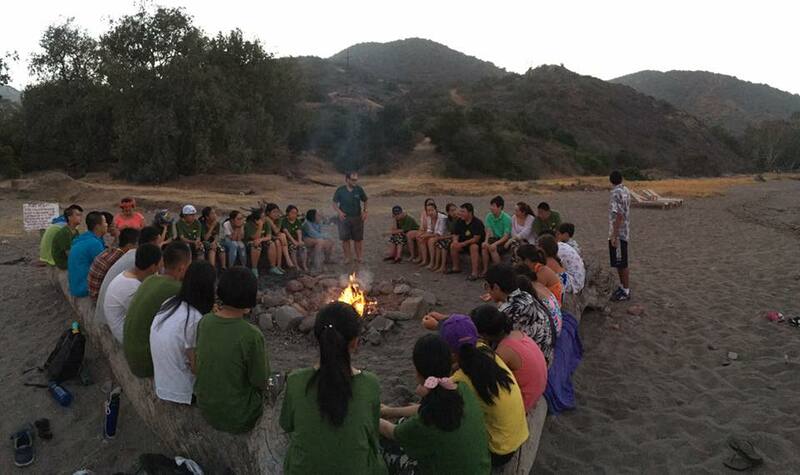 There is no other event more exciting during summer break than coming to outdoor adventure camp. 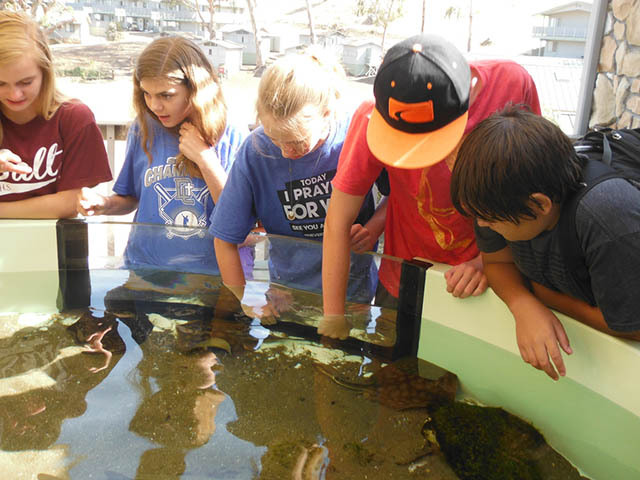 For youth ages nine to seventeen, this program is bound to be the highlight of their summer! Each participant gets the chance to try new things, develop various interests, hone in on particular skills, challenge themselves and walk away with a greater sense of self worth, self esteem and improved self image. The outdoor adventure camps for youth that MSA runs structure the opportunity for each camper to face their fears and achieve new heights in their personal growth. This is the most satisfying part of what we do, seeing youth leave with their self image completely transformed, having proved to themselves that they can achieve things beyond what they previously thought possible. 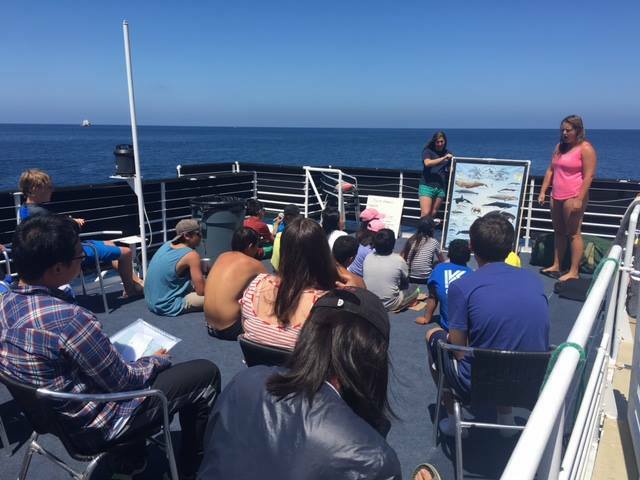 There are over a dozen youth camps on Catalina Island, but this is the only program where participants get to live on board a marine research vessel as they tour around the various coves, and dive spots around the island. 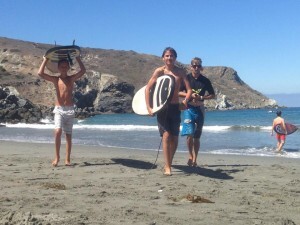 We even go to the backside of the island to surf and play in the waves! The Enhydra is a US Coast Guard certified marine research vessel that sleeps over forty people. Each cabin sleeps two to three people and has it’s own toilet and shower. 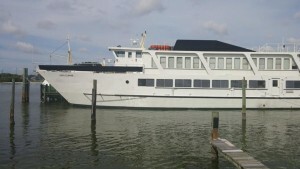 The accommodations on board are superb, and it feels like you are staying on board a mini cruise ship! 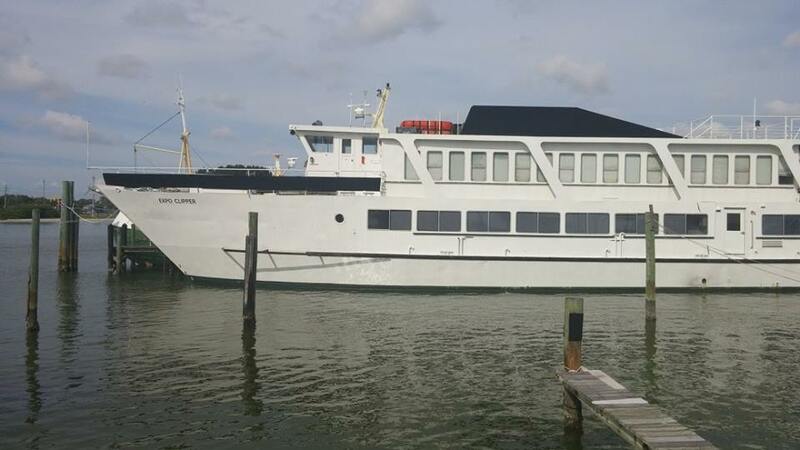 The ship is fully stocked and equipped with wet suits, snorkel gear, kayaks, paddleboards, surfboards, as well as all the various scientific needed to do activities such as plankton trawl and microscope lab. During Floating Sea Camp on board the Enhydra, campers are not limited to just one cove like every other camp on the island, but can tour all the best highlights of what the island has to offer (which is quite a lot!). 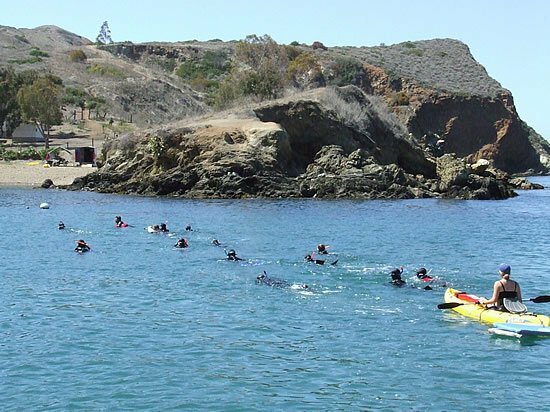 Santa Catalina Island has the best snorkeling in California, and is among the top dive spots in the world. After living, playing and working on the island for over twenty years, we know the secret spots and the very best of the island, which only the locals know. Campers spend time in Avalon and Two Harbors, as well as coves like White’s Landing and Emerald Bay. They get to experience Discover Scuba Diving at the dive park in Avalon, snorkel at breathtaking locations such as Italian Gardens, and journey to the backside coves of Little Harbor, and Shark Harbor. The amount of time immersed in the matchless beauty of nature that Catalina Isalnd afford imparts a deep personal love for the ocean environment. People only protect that which they love, so imparting this personal experience to the next generation of earth stewards is of paramount importance. 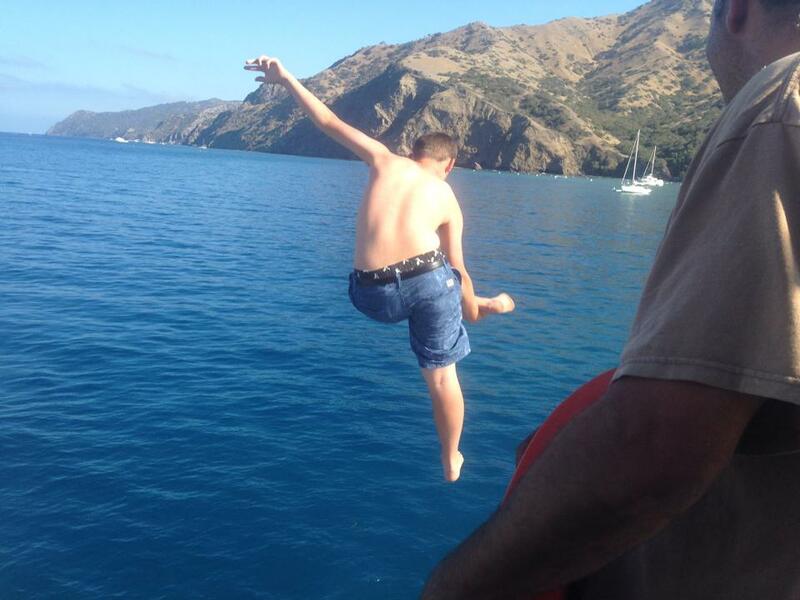 There is nothing like swimming in the ocean water of Catalina. The water is much more clean and clear than the water on the mainland of California. The algae and sunlight gives many coves a turquoise aquamarine color, reminiscent of the tropics. In fact, in recent years we have been seeing more tropical fish and even sea turtles visit the island shores. 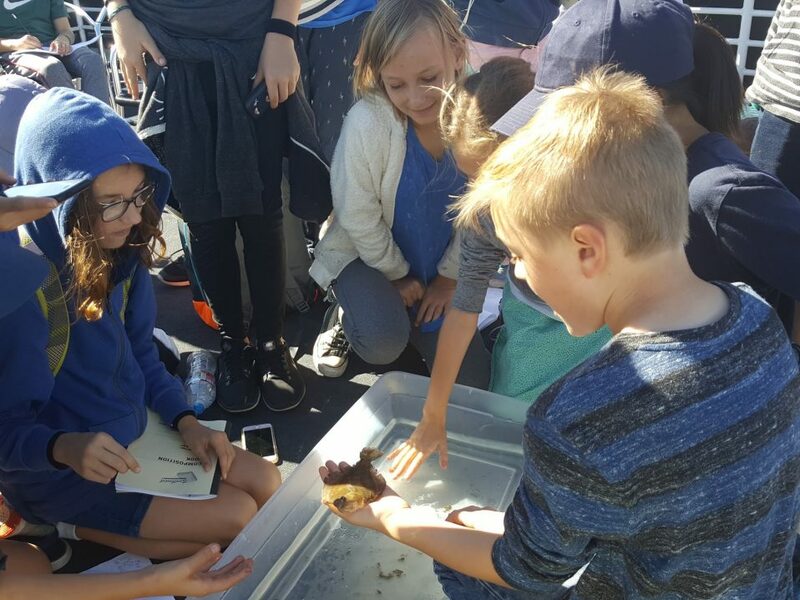 Whether if it is to explore a love for marine biology or just to escape for some fun in the sun and water, MSA’s Floating Sea Camp program is guaranteed to be the highlight of your summer. The benefits of coming to summer camp include learning social skills, self development, expanding your horizons, develop a personal love and appreciation for the environment, improved self esteem and a deep life transforming level of inspiration.